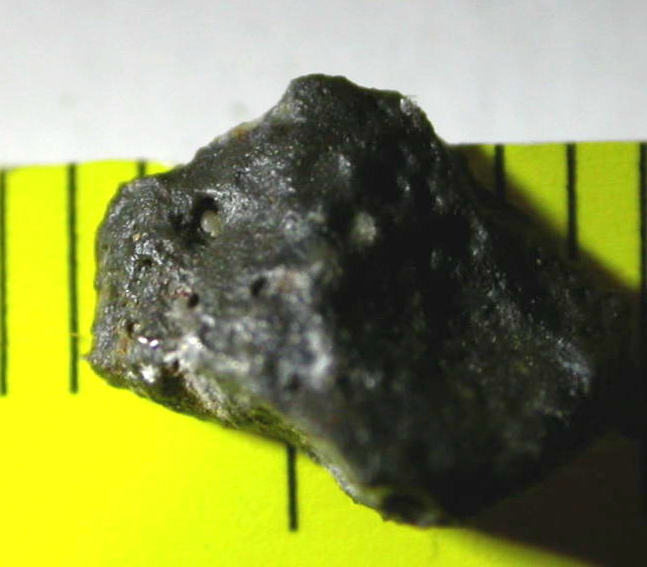 There are less than 50 distinct meteorites known today to be pieces of Earth's Moon (lunar meteorites). The total weight of all recovered moon meteorites is 38kg (versus e.g. : tons of high cutting quality diamonds are found each year). 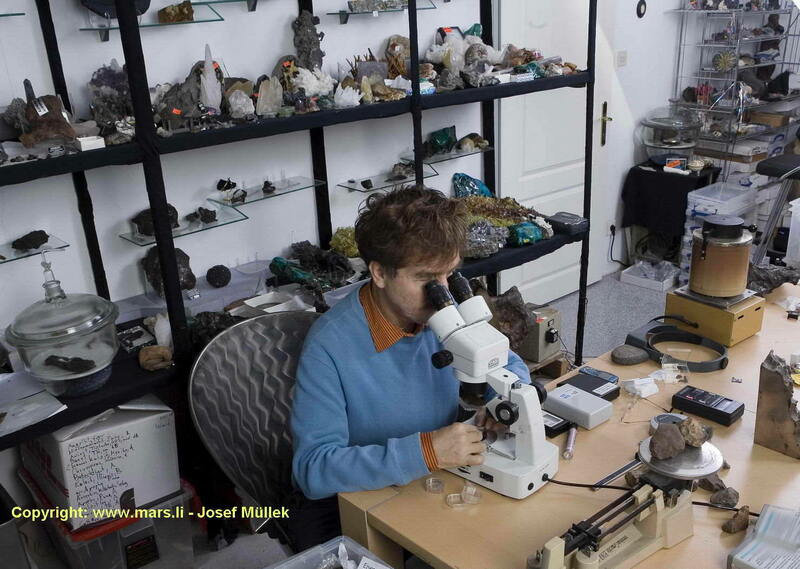 Such these moon meteorites are really unique and precious treasures from space! Some important aspects to consider while choosing slices: Although big surface are might be enough for pure demonstration purposes of lithologies, thin slices often turn much easier to break or weather over time. Anyway sections of less than 1.5 mm thickness are due to often decreased stability over time risky and often not meant to survive eternity. From investment considerations e.g., I recommend thicker slices, endpieces or individuals at best. To give an example: If I would be JeweIIer e.g. I'd also recomment to prefer genuine precious jewelry over those plated with a thin layer of precious metal only. So substance and mass – yes they do count when it comes to acquisations. plattierten vor echtem Schmuck empfehlen. Es geht eben bei langfristigen Überlegungen - nebst reiner Bildhaftigkeit des Objekts - doch primär auch um Substanz und Masse. How do this rocks from our moon get to earth? How can we be sure our Meteorites are from Moon? Mineral composition, chemical analysis results, isotope ratios, advanced optical studies, and textures of the lunar meteorites are all similar to those of samples collected on the lunar surface during Apollo missions. Unlike meteorites originating from asteroids samples from the surface of earth's moon almost always contain free glass formed in space by impacts from space on the lunar surface. Because of how the Moon formed, lunar highland material is composed predominantly of Anorthite which is a white, plagioclase feldspar that causes moons pale shimmering color. Another plagioclase feldspar Anortihisite is common on lunar highlands but is quite uncommon on asteroids and on the surface of any other planet or planetary satellites. Find 2005; TkW: 120 g in total. Fusion crust absent. Petrography: (Ivanova M.A., Lorenz C.A., and Nazarov M.A., Vernad.) 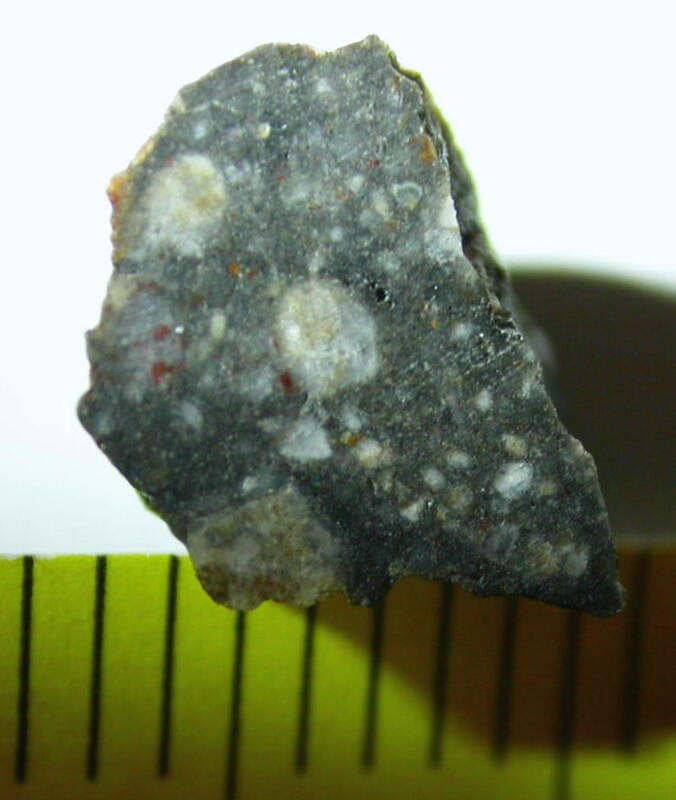 Meteorite is a impact melt breccia containing lithic clasts, mineral fragments, glassy spherules, granulites and melt breccias embedded in a fine-grained melt matrix. It's a polymict breccia although the matrix/clasts ratio is varying from section to section of the meteorite. The lithic clasts population is presented by anorthosites, gabbroes, olivine gabbro-norites, gabbro-norites and norites. KREEPy and mare basalt clasts are present. The size of the clasts ranges from 0.02-8 mm; the main minerals are pyroxene and feldspar; minor - olivine, silica, chromite, ilmenite, Ca-phosphate, troilite and FeNi metal. Geochemistry: (Ivanova M.A. and Kononkova N.N. (Vernad.) Chemical compositions of mineral phases are: feldspar An73-96Ab3.7-24.8; clinopyroxene En2.6-69.5Wo5.6-42.8 (Fe/Mn = 64 at. ), orthopyroxene En60.8-77.1Wo1.2-4.1 (Fe/Mn = 69 at. ), olivine Fo39.9-72.2 (Fe/Mn = 93 at. ); ilmenite (MgO 5.5%); FeNi metal (Ni 8.0%; Co 0.6%). Average glassy matrix composition (wt%): SiO2 49.6; TiO2 1.76; Al2O3 17.4; Cr2O3 0.20; FeO 10.7; MnO 0.15; MgO 7.16; CaO 11.1; Na2O 0.88; K2O 0.76; P2O5 0.84. Classification: Achondrite (lunar KREEP impact melt breccia with minor features of weathering. Specimens: A total of 21.8 g of sample and two thin sections are on deposit at Vernad. An anonymous buyer holds the main mass of the meteorite. 24.2 g was found . Available are wonderful slices: extremely beautiful (colour and contrast rich as well as some surprising features like intriguinglooking mineral clasts and large fresh, glassy vesicles!) of Dho 1436 - Lunaite for Euro 905/grm: 0.004g SOLD! ; 0,07g Euro 75; 0,214gr ; 0,102gr sold! One tiny lunar droplet of 16g was found by a professional meteorite hunting team from Russia that scanned the area for over 5 years footstep by footstep. Extensive searches over a long period of time didn't yield any further stone. 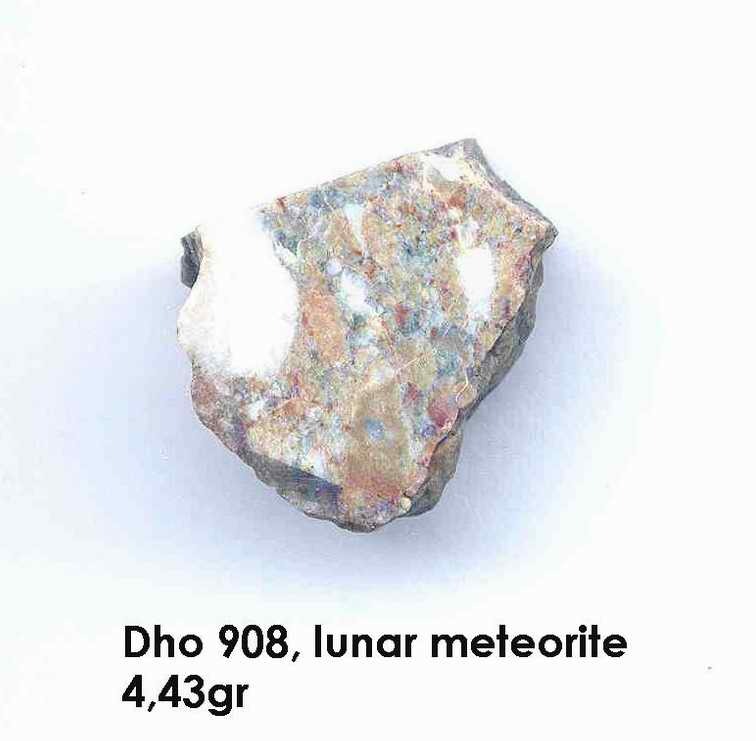 Dhofar 302 seems to be more differentiated and also more rich in igneous and granulitic lithologies to any other known lunar meteorite in this part of the Dho region. Very low total mass of less than 4gr! A 213 g dark gray moon meteorite without fusion crust was found in the DH0FAR desert region. 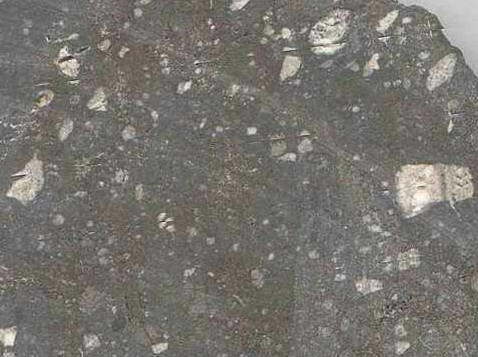 Petrography: (T. Bunch and J. Wittke, NAU) Clast-rich impact melt breccia (mingled) that consists mostly of light to dark gray clasts of previously formed, plagioclase-rich breccias and white lithic and mineral clasts of anorthositic rocks +plagioclase. History: On April 12, 2001, one stone was found by an anonymous finder in the DH0FAR region. Some years later three further tiny fragments were found within a few feet. The total mass of all stones is 36.7 g.
Physical characteristics: The rock is slightly weathered and relatively dark in hand specimen. 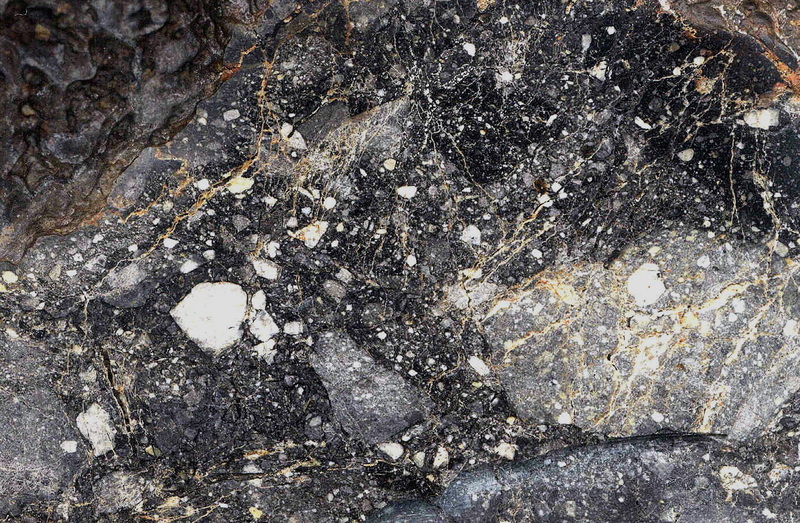 Petrography and mineralogy (A. Bischoff, IfP and E. H. Haiderer, Vienna): typical anorthositic breccia with light anorthositic clasts and abundant impact melt clasts embedded within a tough, partially molten matrix. This mostly devitrified matrix contains abundant vesicles and schlieren. Based on the optical appearance the rock has some similarities with DH0FAR 081 , however, the coordinates do not favor pairing. Mineral compositions: feldspar ranges from An 83–98 with a mean of An 94.8 ± 3.5 ; pyroxene is Fs 12–49 ; mean: Fs 30 ± 9 ; and olivine is Fa 19–52 ; mean: Fa 35.5 ± 9 . Type specimens: 7.4 g and one polished thin section ( IfP , Mün); an anonymous collector holds the main mass. 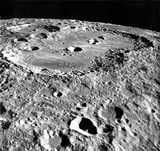 lunar farside – an area called the Feldspathic Highlands Terrane. Dho 489 et al. as ground truth of the lunar farside crust. Please email us your kind preorder requests mars@mars.li! 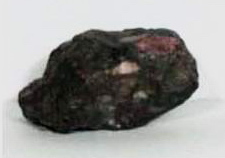 Physische Merkmale: Ein kompletter und stark regmaglyptischer Mondmeteorit von 801,432g, der mit (einigen Überresten) einer dunklen Schmelzkruste bedeckt war, wurde von einem anonymen Finder 1999 in der Dar Al Gani Region gefunden. Petrographie: kataklastische feldspatische (Plagioklas) feinkörnige kristalline Schmelzbreckzie. 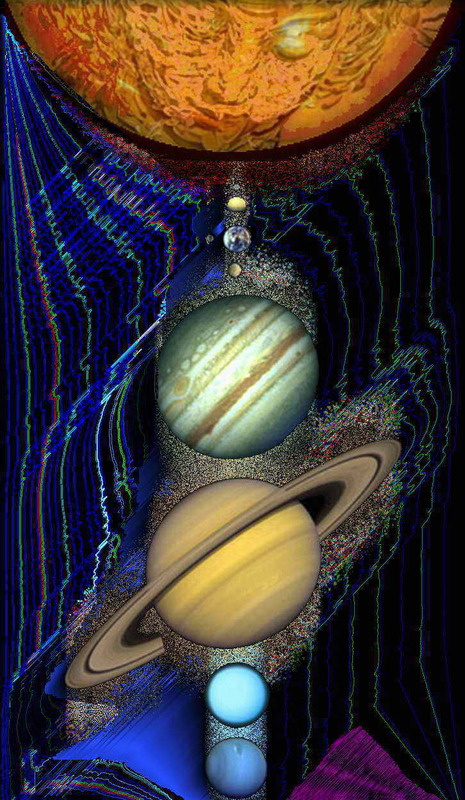 Glaslinien und Spherulen - . from deep lunar crust or even the uppermost mantle region. 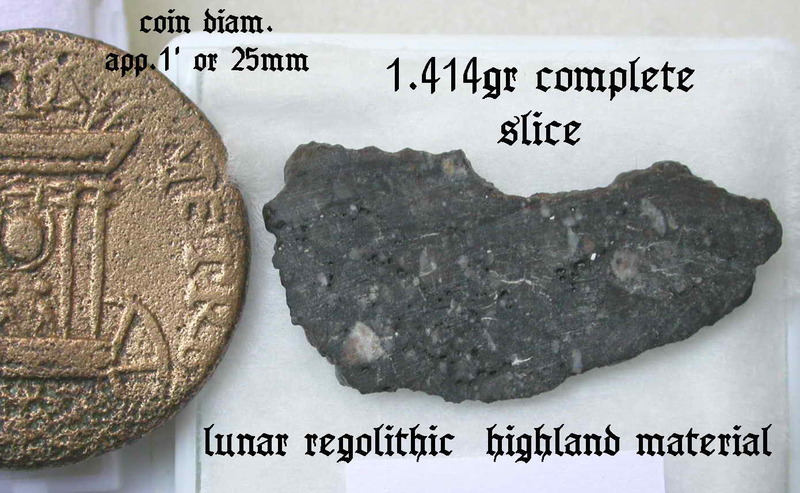 A grey 10.8 g moon meteorite was found 2002 January 15 in the Dhofar region. Classification and mineralogy mineralogy (S. Demidova, Vernad; G. Kurat, NHMV): fusion crust is absent. $4 only for a gem box with appr.3mg of dust to grain sized lunar material. (Note: due to these small sized grains the difference of lunar dust to terrestrial dust is difficult to prove! Lunar and terrestrial grains of pyroxenes, olivine or feldspar virtually look identical). Only our Certificate of Authenticity and seal on the gem box proves that it is real moon dust. I can offer you a lot set of representative samples of 7 different, rare and unpaired! lunar meteorites mostly with a low total known mass. This is a great rate price (the average rate turns out to be below  €800/gr). See below which types that may be included (images are just sample images - Actual samples you receive will look moderately different and may be different in shape and in size –smaller. Also the pieces from lot to lot may a bit vary)! All meteorites (inclusive sizes TN and MS) come individually in decorative display boxes!